The problems of possibilistic linear programming are studied in the article. 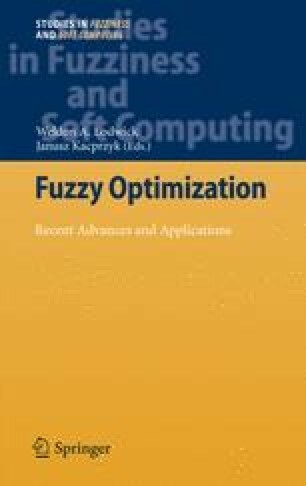 Unlike in other known related publications, t-norms are used to describe the interaction (relatedness) of fuzzy parameters. Solution methods are proposed, models of possibilistic optimization are compared for different t-norms.